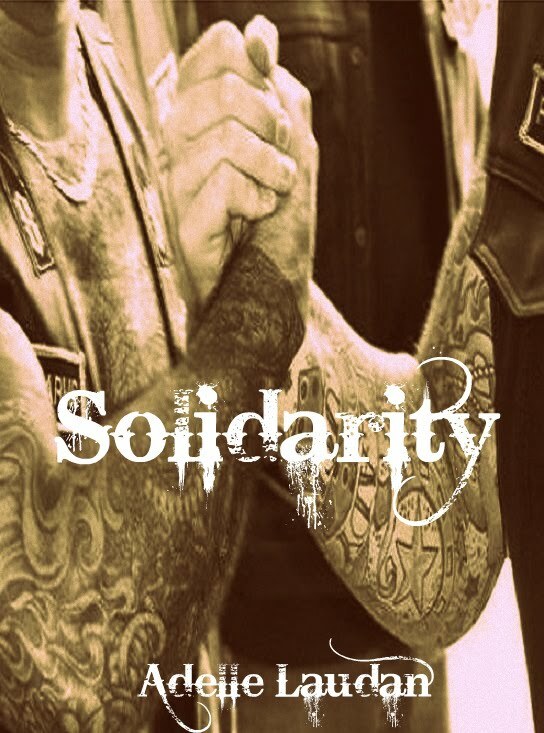 Solidarity by Adelle Laudan was a short, quick read. I enjoyed it quite a bit. Shag and his friends, Larry and Bones are riding to Michigan for the Easy Rider Rodeo. They’ve been planning this trip for near a year now. Bones is so massive, he dwarfs his midnight blue motorcycle, Fatboy. His size alone had mothers scurrying to protect their children. They are unaware this man is the same one who spends the holiday season organizing Toy Runs for kids in need. Larry is antsy and ready to get going.. His 1953 Indian Chief with iridescent cream paint appeared to change color at each bend in the road. With is bald head and fair complexion, Larry could get lost in the color scheme with his bike. Only a few pages in to the story, we discover that Shag has lost his leg due to a horrible motorcycle accident. We also find out he’s been ‘asleep’ a long time, but at this point, we don’t know exactly how long. The book continues in this manner, with learning what lead up to the accident, how it happened, told in a flashback manner. Intermingled in an easy to read style we also see the ‘present time’ story of what’s happening now, and how both Shag and his wife, Lucy are dealing with the loss of the leg, Shag being unable to ride his motorcycle any longer, and his inability to cope with friends and family. While being only 23 pages long, Solidarity tells a story well. It’s not an epic novel of pure inspiration, yet it inspires the reader. One understands easily why Shag is feeling as he does, reacts to people in the growling manner he now uses, and admire Lucy for sticking with him, regardless of how he speaks to her. She knows he’s hurting, literally and figuratively and also knows a secret, which the reader finds out at the very end of the book. A sweet, wonderful ending ensues. I recommend Solidarity if you’ve never read Adelle Laudan before. I hadn’t and this short interested me enough to try it and I did like it. I’m now interested in finding more of Ms. Laudan’s work. On a star rating scale, I’d give this a solid **** and recommend it to pretty much anyone. 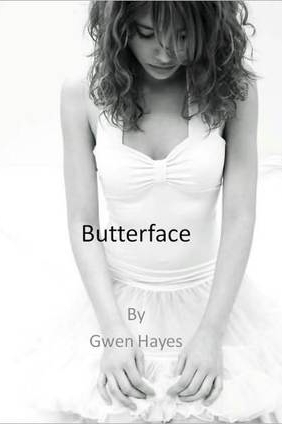 Butterface by Gwen Hayes is a book about a girl I can understand. Elizabeth Anderson was born with Hemifacial Microsamia, a facial deformity. She had managed to not be inundated with the kidney and hear problems that plagued some patients with this birth defect. Often, “they” would say she was lucky. In Beth’s mind, lucky people aren’t born with facial deformities. She keeps her hair messy as a curtain to help hid the scars from the deformity. She had learned how to hide the asymmetry of her face by camouflaging it with the hair in different ways, how she held her neck, her cheek. Anything that would soften the profile she had. I related to how Beth felt, as I was born with a uni-lateral cleft lip, a cleft palate, and have scars and a flattened nose as a result of the surgeries. I remember going home I tears after not only kids but teachers made fun of me and my speech impediment. How Ms. Hayes managed to show us so quickly, and satisfactorily the two main characters and get us to like them is a testament to her writing ability. This story will leave you with a smile, and hopefully, you’ll be drawn to learn more about Hemifacial Microsamia as I was. This book receives a ****1/2 from me. Thank you, Gwen, for writing a story about an imperfect looking heroine. Though this carries my husband’s name as posting the review, it was in fact written by myself, angel. I am the one who was born with the facial deformity. I was writing it on my husband’s Mac as iPad & WordPress don’t play well together, as I discovered.